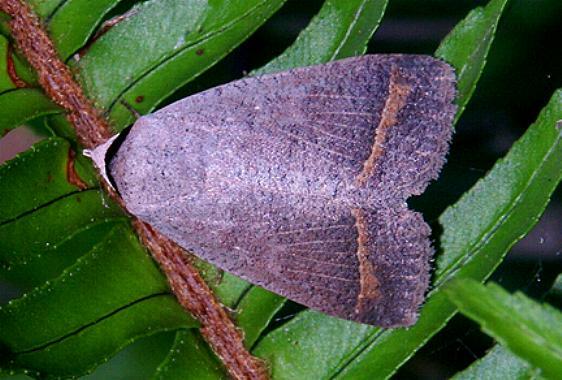 The adult moth of this species is fawn with an orange line parallel to the margin of each forewing, and a broad dark edge to each hindwing. 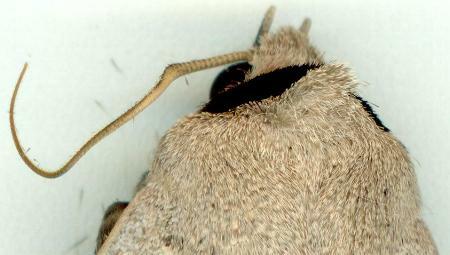 The moth also appears to have a black collar around the head. 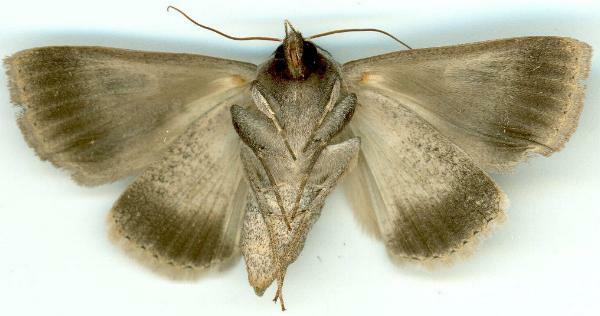 The wingspan is about 4 cms. 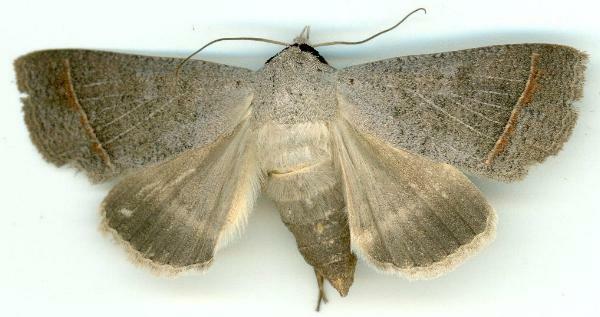 The male moth is unusual in having a bend and a swelling on each antenna about a quarter of the way along. Series 2, Volume 8 (1894), pp. 143-144. LeapFrogOz, Kuranda, 2015, p. 148.